Geneva, Switzerland, 8 August 2018 – A record number of regional heads of state or government will participate in the World Economic Forum on ASEAN in Ha Noi, Viet Nam on 11-13 September. The meeting will take place under the theme ASEAN 4.0: Entrepreneurship and the Fourth Industrial Revolution. 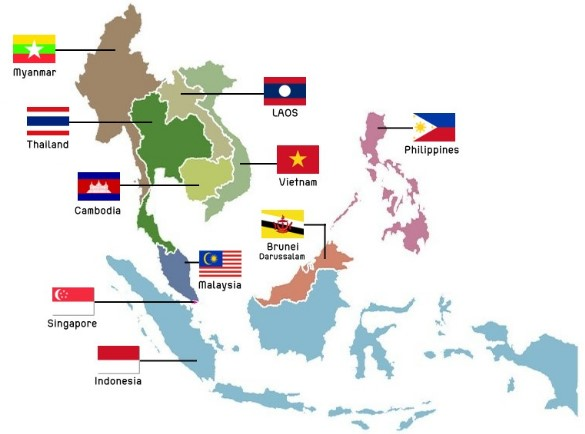 In all, eight ASEAN countries will be represented by their prime minister, president or state counsellor. Among the registered heads of state or government are President Rodrigo Roa Duterte of the Philippines; newly elected Prime Minister Tun Dr Mahathir bin Mohamad of Malaysia, meeting his regional peers for the first time on the international stage, and Aung San Suu Kyi, State Counsellor of Myanmar, participating for the first time since the meeting took place in her home country in 2013. They and four more ASEAN government leaders will be hosted by Prime Minister Nguyễn Xuân Phúc of Viet Nam. They are joined by Prime Minister Ranil Wickremesinghe of Sri Lanka, as well as several senior cabinet ministers from the Republic of Korea, Thailand and other countries. More than 800 leaders from business, government, civil society and media will join these heads of state and senior ministers to discuss issues ranging from the region’s geopolitical friction points to entrepreneurship and employment in the Fourth Industrial Revolution. They will do so with the help of leaders of 100 early-stage start-ups, whose companies represent the dynamic nature of entrepreneurial spirit of ASEAN. Issues to be discussed at the meeting include Asia’s New Balance of Power, Factory Asia’s Next Frontier, the Future of Jobs in ASEAN, Asia Economic Outlook, Accelerating the ASEAN Economic Community, ASEAN Pluralism and Designing Cities 4.0. Topics surrounding the Fourth Industrial Revolution, including emerging technologies like autonomous vehicles, blockchain, drones and fintech, will be highlighted. The meeting will also include workplace sessions on topics such as Sexual Harassment at Work, and Workplace 4.0. The meeting Co-Chairs are Anne-Birgitte Albrectsen, Chief Executive Officer, Plan International, United Kingdom; Mulyani Indrawati, Minister of Finance of Indonesia; Kang Kyung-Wha, Minister of Foreign Affairs of the Republic of Korea; Nguyen Manh Hung, Acting Minister of Information and Communications of Viet Nam; Nazir Razak, Chairman, CIMB Group Holdings, Malaysia; and Kevin Sneader, Global Managing Partner, McKinsey & Company, Hong Kong SAR. If you would like to cover this event, please register online at www.weforummedia.org by Friday 24 August. The number of accreditations issued is strictly limited and late requests for registration will not be accepted. No accreditation will be granted on site.